This compilation has been produced by Jerry Wexler, who with David Ritz give us a great insight into the early career of Aretha Frankin from the beginning of her recordings for Atlantic records in 1967. 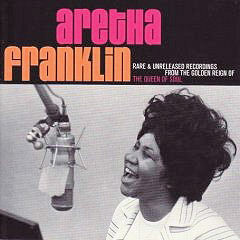 The four demo tracks with Aretha playing piano are raw emotion charged with soul, absolutely stunning. This lives up to it's billing The Golden Reign of The Queen of Soul and is PROBABLY the best soul CD issue of 2007. Issued on Atlantic/Rhino 8122-79970-3 USA.